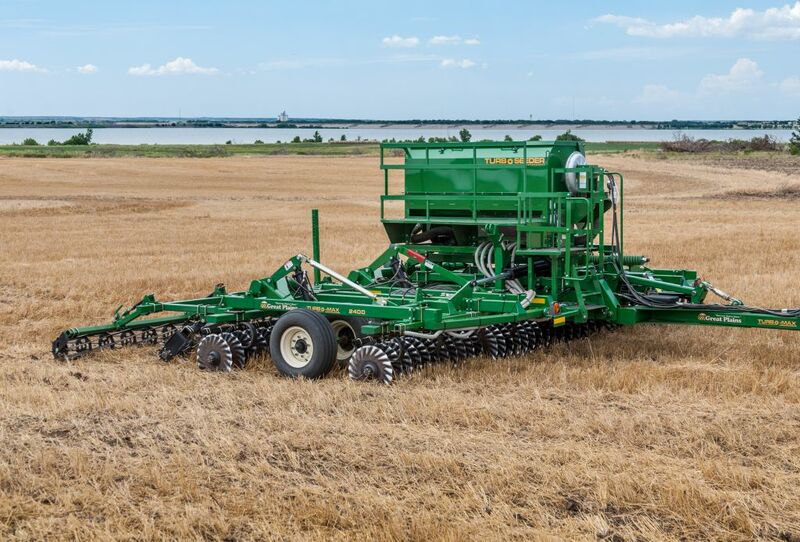 Reap the benefits of both cover crops and true vertical tillage with the Turbo-Seeder™ attachment from Great Plains. 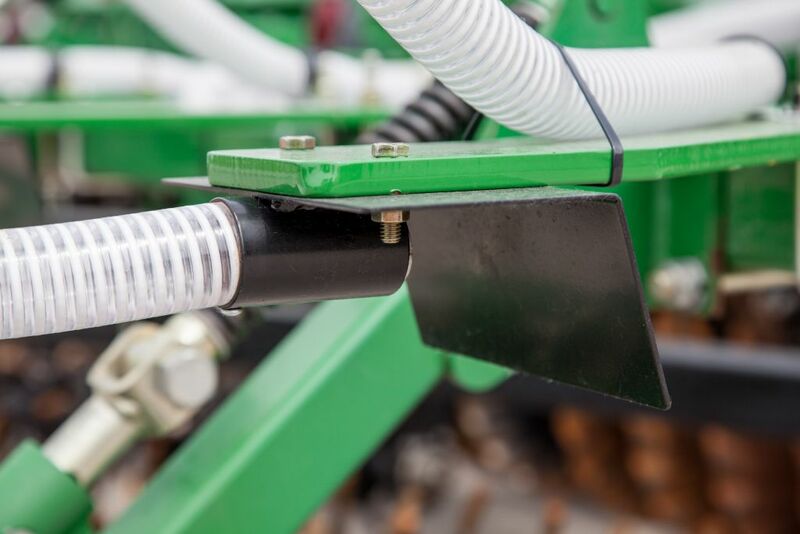 Now available in two different sizes, this seeder can be installed on selected Turbo-Max® models. 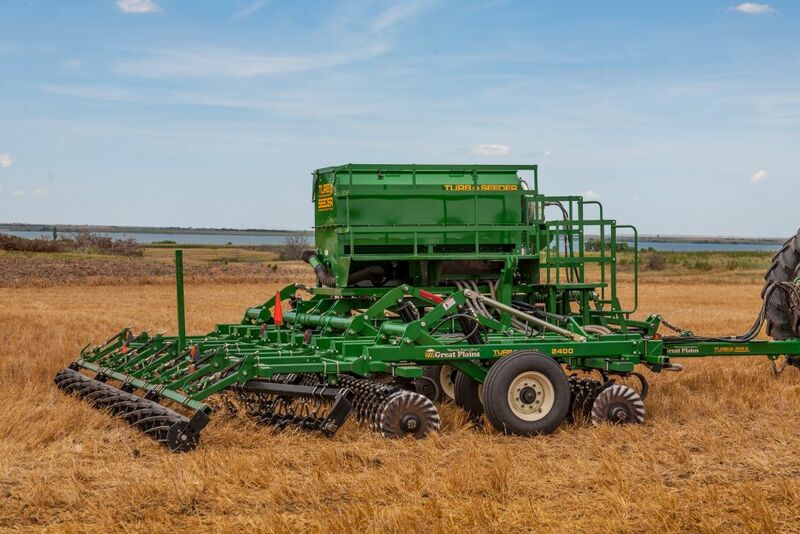 Turbo-Seeder offers a cost-effective, highly productive method for seeding cover crops with a vertical tillage finish tool. 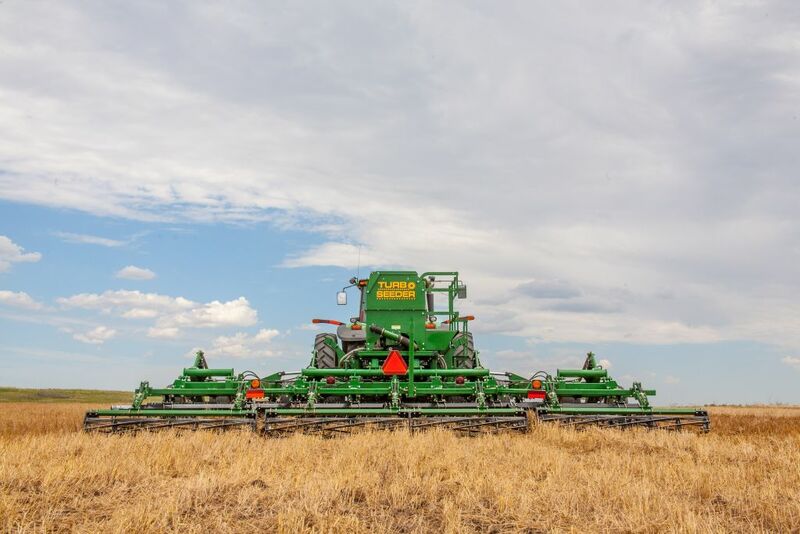 With Turbo-Seeder, you can simultaneously till your soil, size residue, and plant cover crops in one pass, while also reducing labor, fuel, and the maintenance costs of conventional planters. 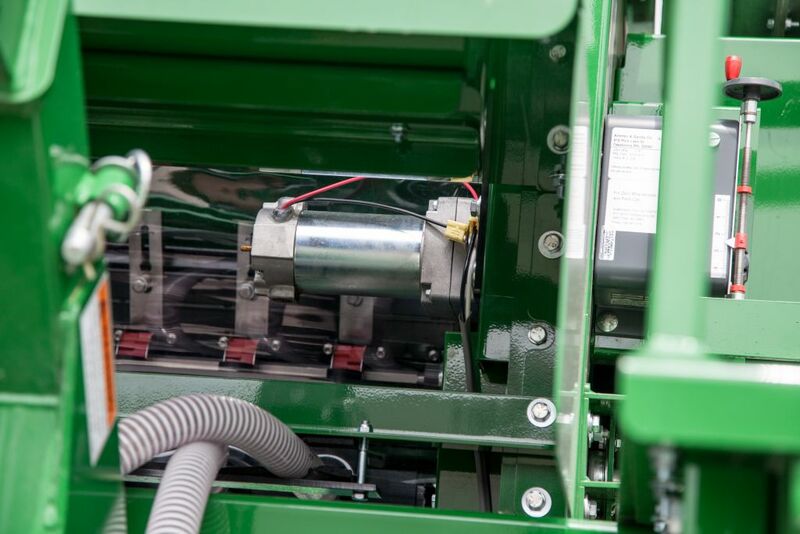 Produced in partnership with Gandy of Owatonna, Minnesota, Turbo-Seeder is a complete, easy-to-install attachment featuring your choice of a 19 or 36-bushel hopper. The meter shaft is powered by a 12-volt, 25-amp motor, and an 8-gpm hydraulically-driven fan delivers seed to the diffusers. 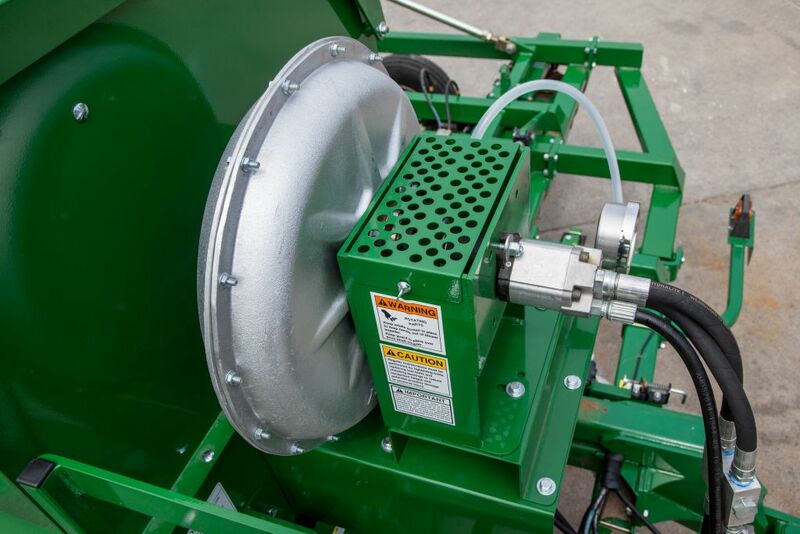 Four seed-rate meter wheels are included to perfectly match your seed. 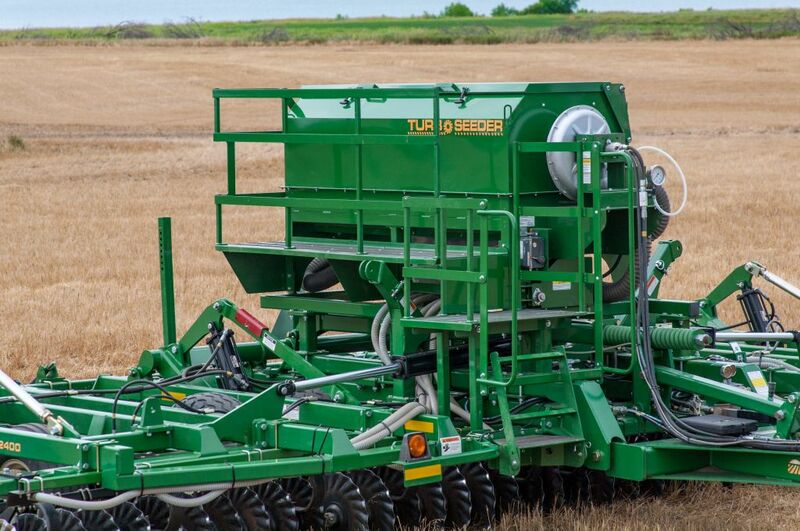 Turbo-Seeder can place high rates of cover crops and small grains such as oats, wheat, rice, and barley. 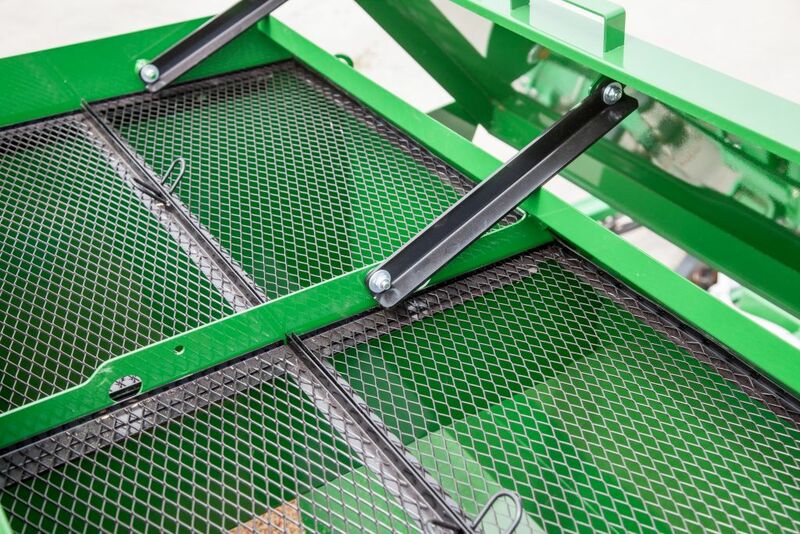 The Turbo-Seeder kit also includes a ladder and walkboard for easy access to the hopper. 12-volt, 25-amp meter offers infinite rate adjustments. 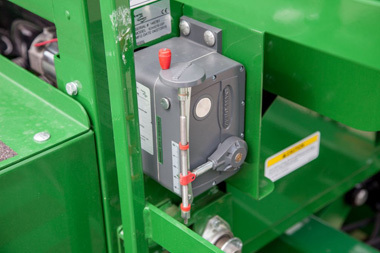 For safe, easy access to the seed hopper without climbing over the machine. Provides even seed distribution across the entire machine. 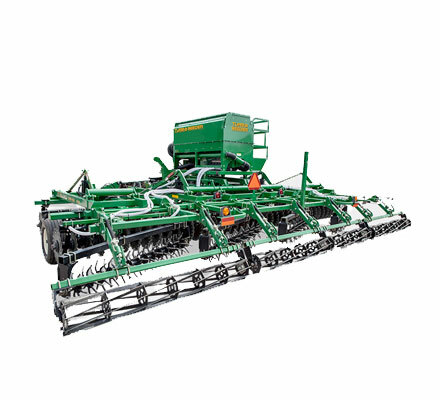 The Turbo-Seeder has 12 or 16 diffusers and 1-1/4″ (31.75mm) diameter hose for unrestricted air and seed flow. 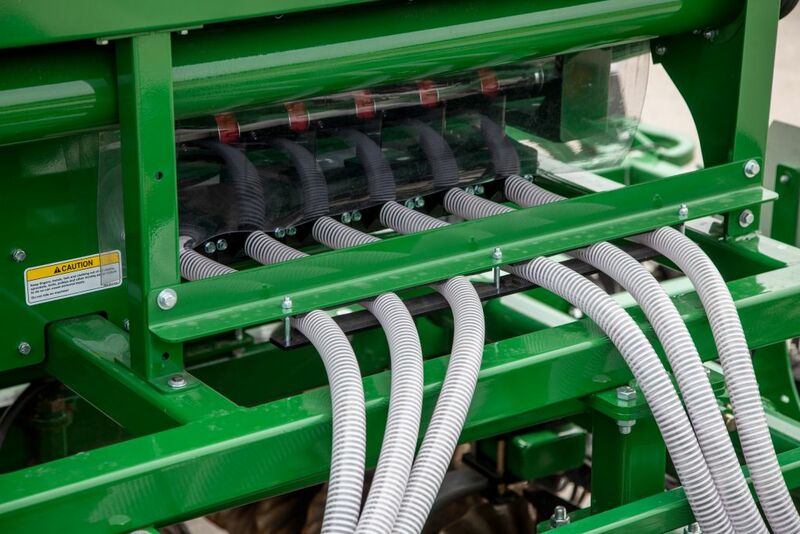 Provide section control on each half of the machine to avoid wasting seed on double-seeding. 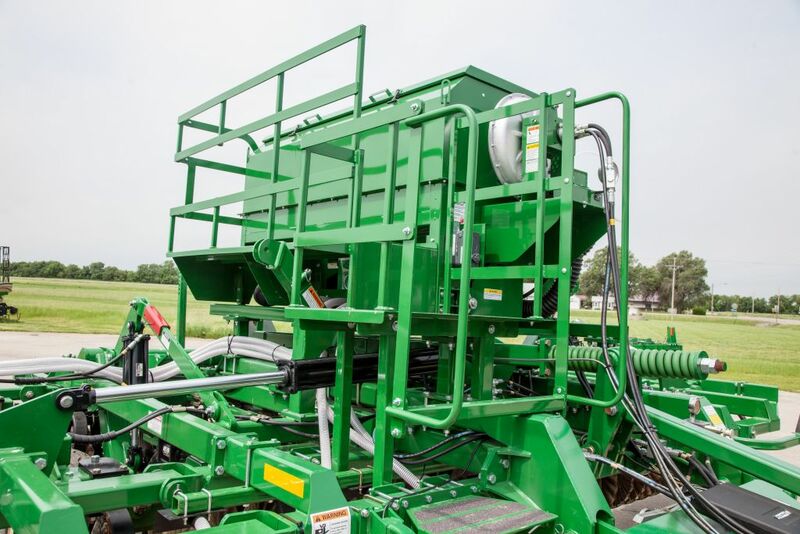 Slide-away cover speeds and simplifies fills, and the large hoppers are ideal for even large-acreage operations. Kit includes a ladder and walkboard for easy access to the hopper. Distributes the seed laterally and downward in even, 30″ (76.2cm) bands. Totally enclosed crating all on one enclosed crate.